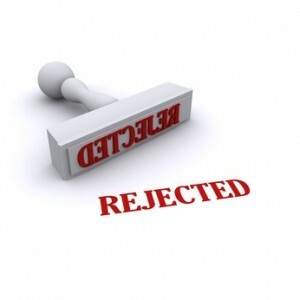 How Do I Reject an Applicant I Don’t Like? If you are getting a bad vibe from a prospect, chances are it’s legitimate. Instinct or a “gut” sense clearly plays a role in screening tenants. The problem is that instinct alone is not the most efficient way to screen tenants, especially if it leaves you second-guessing whether you have the right to reject an applicant who you don’t like. Identify your threshold criteria: someone who can afford the rent, will take care for the property, and won’t cause problems. Prequalify the prospect on the telephone to determine if they have the income to afford the rent before you agree to meet. Before rejecting a tenant on a subjective basis like personality, take a moment to reflect, and eliminate the possibility that the “bad feeling” you are getting is related to the rental process — this is someone who will cause headaches — and not a stereotypical view of the person’s characteristics like race, gender, religion, and so on. Now, you can be confident that you are rejecting this applicant for a legitimate reason. Because the decision is based on personality, not credit, you do not owe any explanation to this individual as to why he is rejected. By the way, it’s more likely that acting on a gut feeling will cause problems for the opposite reason: you get a good feeling about the applicant, so you decide to pass on running a tenant background check. That’s a dangerous move. Trust your gut instinct, but always verify what a tenant tells you by running tenant screening reports and checking references. I am in the process of rejecting tenants based on income. I told them originally they were borderline on my income requirements. This says ‘you do not owe any explanation to this individual as to why he is rejected’. Does that apply to all rejections? How do you answer their emails or phone calls? Do you just say ‘I have decided on someone else’. It seems like they would be bitter with no explanation. I am curious about this too…. Exactly what do you say when rejecting such an applicant? Discrimination lawsuits are running rampant, and it’s not difficult for a rejected applicant to turn a rejection into a legal nightmare. Saying a space is rented and then not taking down the advertisements seems to me like asking for trouble.